Turn up the heat on your pre-event promotions when you send out personalized BBQ Vintage Invitations to everyone on your guest list. 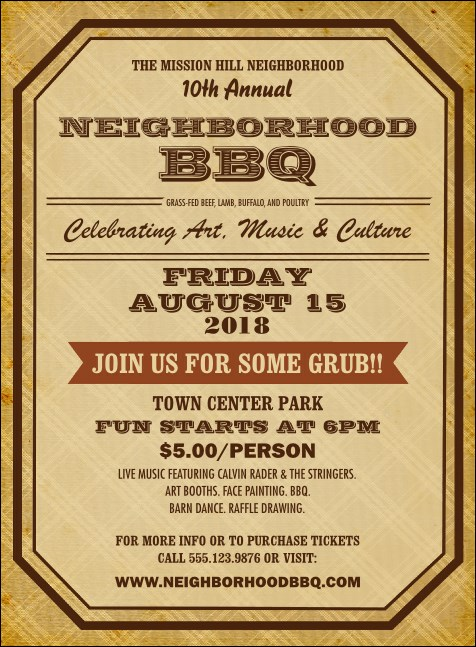 Showcase your upcoming cookout firsthand with Invitation templates that feature a tan plaid background and nineteen lines of text in unique font for all your event details. Welcome the whole neighborhood to your event with Invitations from TicketPrinting.com.